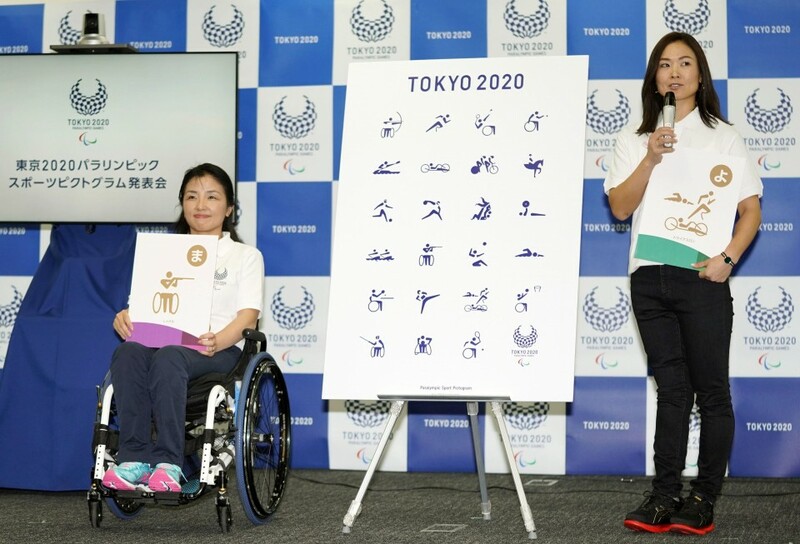 The organizing committee of the Tokyo Games on Saturday unveiled a set of pictograms to be used to represent the different Paralympic sports, as Japan marked 500 days to go. Organizers revealed the 23 pictograms created by a team led by graphic designer Masaaki Hiromura, who was also involved in the design of the Olympic pictograms, at an event in the Japanese capital. The Paralympic icons, which will be used on signage at competition venues and in other mediums, were designed to depict the characteristics of individual sports by reflecting the rules and the equipment used. The unveiling event in Tokyo's Chuo Ward was attended by Japanese para-triathlete Mami Tani, who aims to earn a spot at the games which open on Aug. 25, 2020 and run through Sept. 6. "Pictograms are something that the athletes feel connected to. I've realized how close we are to the games," Tani said. Three-time Paralympic shooter Aki Taguchi, who was in 2018 named a para-sport athlete liaison by the International Paralympic Committee, also appeared. "There are many athletes who use equipment (at the games). I would like people to know about the sports more through the pictograms," she said. Games organizers will create playing cards with the pictograms on them in a bid to teach elementary school students about the Paralympics. The Olympic versions of the 2020 pictograms were unveiled by the local organizers in March. Paralympic pictograms were not used at the 1964 Tokyo Games, the first time sport icons were introduced for the Olympics.